WooCommerce is said to be the most popular blogging platform to date. And since it is open source, numerous developers are contributing to this excellent platforms. As a result, there are hundreds of plugins and millions of themes available for WordPress which are mostly free, although they are not that easy to find. Most theme developers are trying to push their premium products because creating WordPress theme, which later optimizing it for WooCommerce, takes a lot of time and people deserve to get paid for their work. Some of the Best WooCommerce themes can be grouped into several categories. The following are some themes that you may find in tokomo.com. If you need to build marketplace website, Multimarket is the best WooCommerce theme for you. The theme offers a specific type of WooCommerce products: Standard, Video, Audio Link, and Audio File. The theme comes with Dokan Multivendor and WooCommerce plugins. Dokan multivendor plugin will help you to manage the vendors you have, including assigning products, setting the sales commission, and so on. Every vendor is able to change information about their products from their own vendor admin page. In addition, having built-in styles for WooCommerce plugin make it easy to be used. Moreover, this theme allows you to build your own footer with KING Composer and is designed to be responsive in every device. Pustaka is one of the best WooCommerce themes for an online bookstore, book author official website, and publishing service business. You are able to customize your site using multiple layouts and features. Pustaka offers 3 single pages with a different layout which were built with King Composer. It also has attractive mega menu use image that will be able to help you increase sales on your site. Pustaka is also integrated with WooCommerce and is compatible with Woozone Amazon affiliate Woocommerce plugin. By using this plugin, the customer will be informed about the product’s availability on all 3 Amazon locations. Pustaka also offers a service in pricing deals and sales promotions, as well as detail information about author and publisher which are sorted in the alphabet, unlimited custom sidebars, One Click Demo Importer, automatic updates, and many more. Looking for a fashion WordPress theme? LeCrafts is the answer. LeCrafts is a stunning, fully customizable web designed that will definitely take your e-commerce website to the next level. You can choose from 9 predefined homepage layouts and6 predefined portfolio layouts. You may also build your own template using Visual Composer. There is a powerful drag-and-drop page builder that allows you to build custom web pages from scratch quickly. For bag sellers, choosing Baggies theme for their online stores is a perfect choice. This is the best WooCommerce theme which is suitable for selling bags, shoes, watches and even jewelry. It provides 8 homepage variant and 5 different header style that can be used in the different scenario. 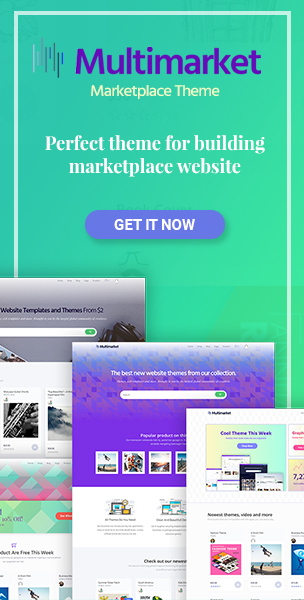 Baggies also has a visual composer which is the best WordPress page builder and revolution slider which is considered as the best WordPress layered slider. The theme is also built to support Dokan, WC Vendors, and WooThemes Product Vendor multivendor. Every element on Baggies is very customizable, the design is minimalist and professional, and will definitely make your site looked modern and impressive. 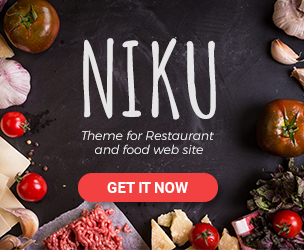 Niku is a clean and modern theme, which is the best WooCommerce theme for food menu and restaurant web site. The Attractive Menu Page with visual composer will make anyone who visits the site drolling as the visual composer makes the site very appealing. Niku is designed to be responsive in every device. It also supports Reservation Form Support so that customer is able to reserve a table for an event on specific date and time. Festiven is the best WooCommerce theme for event calendar. It is ready to use for event listing online stores. There is 3 blog layout that can use in a different scenario. You can even sell your event tickets using WooCommerce. Paradize is the best WooCommerce theme for websites for travel agencies and tourist attractions sites. There are 4 variants of the homepage with 2 Tour Page variants. You can also make a customize page using a visual composer. Like Niku, LaFaar is also a restaurant WordCommerce theme that comes with tons of features. If you plan to create websites for a café or a restaurant, LaFaar is a perfect choice. You can adjust your needs using many homepage templates it provides. The theme also comes with King Composer page builder, so you can build your custom pages with ease with drag and drop feature. 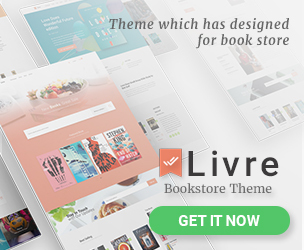 Livre is another best WooCommerce theme which is designed for a book store. Not only allows you to sell books, you are also able to use Livre as a music store, game store, etc. There are 4 custom product type and features that you can adjust on your site to achieve a perfect design and meet its functionality. So, which type of WooCommerce themes is the best for your site? Go try those excellent themes and wait for increase sales on your site right away.